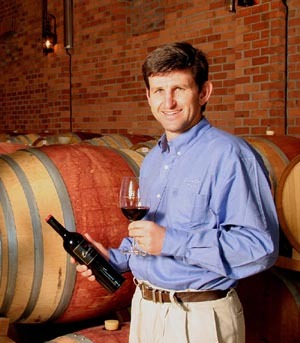 The Cape Winemakers Guild has announced that Louis Strydom of Ernie Els Wines has been appointed their new Chairman for the next two years. Louis is renowned for his excellent winemaking principles and enduring dedication to the creation of world-class, quality wines. “It is a great honour to be elected chairman of the Cape Winemakers Guild and I look forward to the new challenges of an ever changing organisation during my two year tenure,” says Strydom who will continue his current involvement in the Guild’s Protégé Programme and Development Trust in addition to his new responsibilities as chairman. Two new committee members are David Finlayson of Edgebaston, a former chairman of the Guild, and Andries Burger of Paul Cluver Estate Wines. Duncan Savage of Cape Point Vineyards has taken over the responsibilities of Guild cellarmaster whilst Bernhard Veller of Nitida will serve another term as treasurer. Established 28 years ago by eight independent winemakers, the Guild’s vision has been to elevate South African winemakers to amongst the best in the world and to set a standard for winemaking that is a benchmark for the local industry and the rest of the world. Currently the Guild has 41 members made up of some of the country’s most respected winemakers. Every year the members submit a select quantity of wines crafted exclusively for the prestigious Nedbank Cape Winemakers Guild Auction, which has become a showcase of what can be achieved by South African wine producers. The Nedbank CWG Development Trust is involved in the social and economic development of the winelands community through investment in tuition for schoolchildren all the way from junior level through to the flagship Protégé Programme, which provides bursaries and internships for viticulture and oenology students. The next Nedbank Cape Winemakers Guild Auction will be held at Spier in the Stellenbosch winelands on Saturday, 1 October 2011.